Choosing your wedding dress is more than checking off an item on your planning to-d0 list. It's an experience. Most brides gather up their nearest and dearest in order to twirl and sparkle their way into the perfect dress, led in the process by a capable bridal shop consultant. 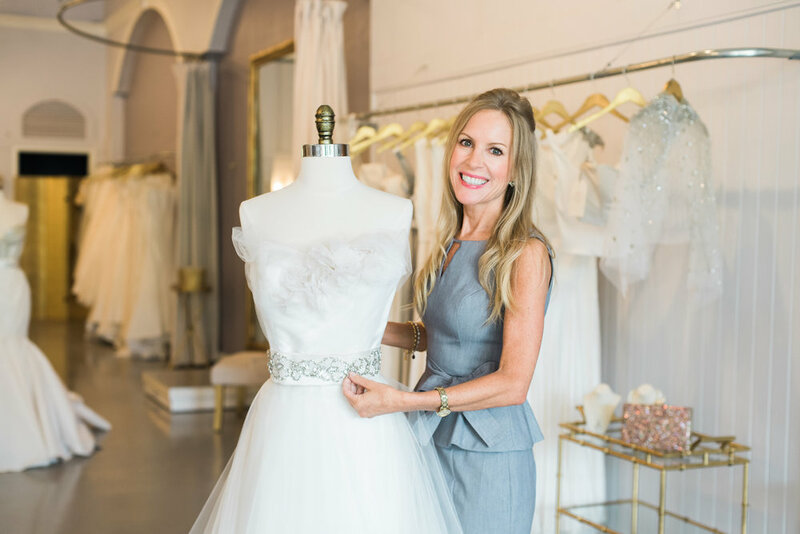 Today, we're chatting with Michelle Miller, the boutique's manager and buyer, to learn a bit more about working in the high-paced, elegant bridal fashion industry. I did not have a great bridal shopping experience myself, and always wanted to create something better! Find your niche and stick with it! That they are going to have fun. Don't be nervous! That I traveled around the world by myself for 2 years. I am a transplant who was enchanted by the magic of Charleston. I love the history, the culture, the weather, the people and the food! Every single moment that one of our brides finds her dress, and sees herself as the bride for the first time is so special for me!